Marina Bay Sands in Singapore is one of the most beautiful Architecture I have seen, and it boasts of the world's largest pool at its height! Taken during the soft opening of SkyPark when they still allowed you to get into the pool area. I have witnessed how it all started having stayed there for 8 years. From construction to its unfolding into world class hotel. Truly a distinction. I normally don't like regrets, but if there's one regret I have, it will be this. 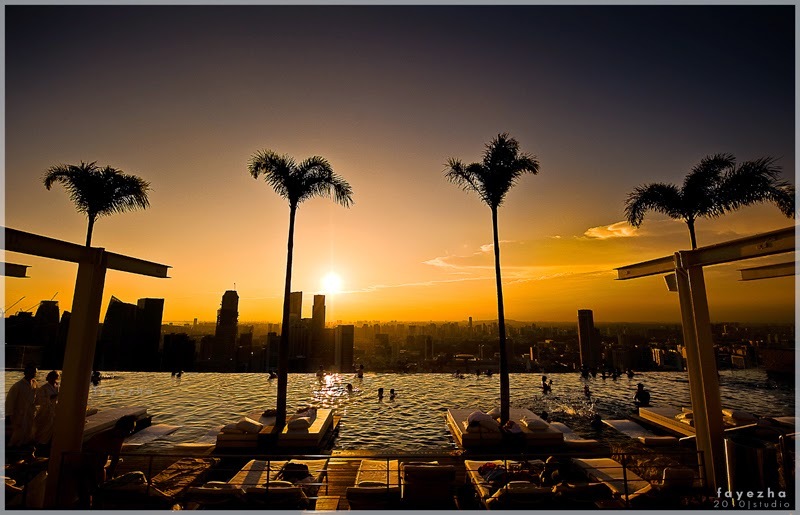 That I, have not checked-in and take a dip at this beautiful infinity pool of MBS. So, while you are still in Singapore, check-In and take a dip! Do not let it just be an imagination, because experience is far more enriching. If you are a tourist, I highly recommend that you stay at least a night at this stunning hotel. Situated at 10 Bayfront Ave., Singapore.